A new study of Boston charter schools shows them to be more mirage than the miracle that the Boston Globe and the Boston Foundation would have the public believe. The clip at left from page 17 (click it to enlarge) shows exactly how the Commonwealth Charter Schools have recently been shown to edge out the Boston Public Schools in MCAS scores. By having almost no students who are Limited English Proficient (LEP), significantly lower numbers of special education students (with milder disabilities, by the way), and fewer poor students (FRLP), there is no wonder that the charterizers have been able to claim the test score edge. The state’s largest teachers union released a report today documenting very high attrition rates and low enrollment of high-need students in Commonwealth charter schools in Boston. The report warns that expanding the number of charter schools without addressing these enrollment practices threatens to separate students based on language proficiency, special education status and poverty. The report documents that enrollment in Boston’s charter high schools falls precipitously over the years. Fewer than half of the students enrolled in charter high schools as freshmen are still enrolled as seniors. This attrition pattern can be captured by snapshot of any single year. In 2008, for example, there were only two seniors for every five freshmen in the charter schools, while there were four seniors for every five freshmen in the Boston Public Schools. "Far too many charter schools have established enrollment and exclusion practices that have winnowed out students with greater needs," said Kathleen Skinner, director of the Massachusetts Teachers Association’s Center for Education Policy and Practice. Skinner authored the report, Charter School Success or Selective Out-Migration of Low-Achievers? "By law, public schools are supposed to serve all students in the Commonwealth. In practice, charter schools do not fulfill that mission. We need to face this reality as the Legislature and the public begin debating whether to increase the number of charter schools in this state." The report focuses on Boston’s charter schools because they have been the subject of recent studies that claimed to find they were doing a better job educating students than the Boston Public Schools. Recent national studies, by contrast, continue to find that most charter schools perform the same or worse than comparable district schools. "This report shines a light on the shocking loss of students in most Boston charter schools between the year of initial enrollment and the final year," said MTA President Anne Wass. "Students who are not meeting a school’s academic and behavior standards are being sent back to district schools or to the streets, and then exaggerated claims of success are being made based on the small number of students who remain. "U.S. Secretary of Education Arne Duncan recently described as ‘dropout factories’ schools where two out of five of their freshmen are not enrolled at the start of their senior year," Wass continued. "By that standard, Boston’s charter high schools are among the worst ‘dropout factories’ in the state." One way to look at the high school attrition rate is to compare the number of students enrolled in grades 9 and 12 in a given year. In Boston’s five charter high schools in 2008, there were only two seniors enrolled for every five freshmen -- a reduction of 57 percent. By contrast, the senior class in BPS high schools that year was four-fifths the size of the freshman class -- a reduction of just 19 percent. Looking at it another way, how many students leave Boston’s charter high and middle-high schools from the year they enroll (generally grade 9, but earlier in some schools) until the start of their senior year? Again, the loss is dramatic. For example, the MATCH school is often cited as a success story since the school claims that 99 percent of its graduates are accepted at four-year colleges. However, that is 99 percent of a greatly diminished pool of students. For the class of 2009, 72 students were enrolled in grade nine but only 34 were enrolled by grade 12, a loss of more than half of MATCH’s students. The report also provides new details on the major differences in student characteristics. It has been reported previously that charter schools enroll fewer special needs, English language learner and low-income students than their sending districts. This report breaks down the data further, showing that the special needs students enrolled in charters have far fewer disabilities and that their low-income students are less poor. ELL: ELL students comprise one in five BPS students -- 19 percent -- but only one in 50 (2 percent) in Boston charter schools. SPED: Twenty percent of BPS students have special learning needs compared to 15 percent in the charters. More significant, however, is that the charter school students on Individual Education Plans have milder special needs. Special needs students are classified by levels: full inclusion (mostly educated in the general education classroom), partial inclusion (in the middle), and substantially separate (mainly or exclusively taught outside the general education classroom). Students with the most severe needs are placed out of district. Nine out of 10 (91 percent) of the special needs students in Boston’s charter schools are full inclusion compared to only one-third (33 percent) of BPS students. Nearly half (48 percent) of BPS SPED students are either taught in substantially separate classrooms or placed out of district, compared to only 3 percent in the charter schools. FRPL: Charter schools claim they serve nearly the same number of low-income students as the BPS system: 71 percent versus 74 percent. But a closer look reveals that they serve fewer very low-income students. The family income limits to qualify for a free lunch are significantly lower than those for a reduced-price lunch. Two-thirds (65 percent) of BPS students qualify for a free lunch while only half (52 percent) of Boston’s charter school students do. Wass said that charter schools were first established to be laboratories of experimentation. "Over time," she said, "they have changed into something else -- essentially a state-managed system of publicly funded private schools." She noted that many are opened by the state over the objections of the local residents and taxpayers who must fund them. "If we are to have charter schools paid for with public dollars, they should serve all students," said Wass. "They should be accountable to their communities. And they should be funded in a way that does not hurt the quality of education provided to students who remain in the district schools." The corporate charter school movement is getting ready to rear it's ugliest face as LAUSD prepares to action off 250 schools (with part of this process headed by former Broad Resident Parker Hudnut). Media outlets in LA have frozen out the voice of teachers, painted union members as totally crazy, and refused to take any kind of critical look at this rapid expansion of charter schools despite a growing body of evidence that should give us reason to pause. Westwood's Emerson Middle School, where I teach, is the target of a hostile takeover by the most powerful charter school corporation in Los Angeles. We were singled out because Emerson is the neighborhood school for one of the charter revolution leaders, Ben Austin. He is a paid consultant for Green Dot as well as a city official with strong ties to the mayor. It's no coincidence that he is also an organizer of the most vocal parent group advocating privatization of our schools. For many years, some neighborhood parents visiting our campus have expressed fear when they see our diverse student population. They ask if it is true we've stopped busing in kids from Pico-La Brea. 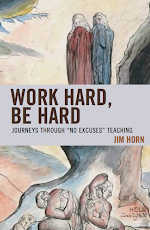 They want their children in our gifted classes because children from other cultures "do not have good work habits" and "those children" would be a negative influence on their own. They accuse Emerson of having both a "culture of failure" and a "gang problem," and have been rude enough to say these things directly to me and to others who work here, often with our students within earshot. Frankly, they are afraid of the very thing that the teachers, administrators, staff members, and neighborhood parents who choose to send their children to Emerson believe is one of our greatest assets: we are a true microcosm of Los Angeles. Thirty different languages are spoken on our campus. Our students are growing up without racial prejudices and cultural biases because they are personally familiar with the variety of cultures, sub-cultures and ethnicities that exist in this city - the very thing desegregation was to promote. Diversity is working on our campus! We are a Program Improvement school on the list for potential takeover through the Public School Choice Initiative primarily due to lower test scores for our English learners, our learning disabled, and our students living on the edge in poverty. Their scores have little to do with their learning. We get them to read and critically discuss Shakespeare, to come up with solutions for global warming, and to get involved in their communities by tackling the issues of poverty at home and abroad. Most go on to very successful high school and college careers. And yet we are a "failing" school. Warner: 75% White, 17% Asian, 2% African American, 6% Hispanic, 6% English Learners, 7% Learning Disabled, 3% Living in Poverty. 2009 Academic Performance Index (API) 971. Revere: 45% White, 10% Asian, 16% African American, 26% Hispanic, 6% English Learners, 10% Learning Disabled, 27% Living in Poverty. 2009 (API) 848. Emerson: 17% White, 5% Asian, 22% African American, 54% Hispanic, 19% English Learners, 12% Learning Disabled, 57% Living in Poverty. 2009 (API) 709. The corporate privatization of public schools, the school choice initiative, is the latest form of segregation on the Westside. It is the final push-back, the last, bitter act of the "white flight" that began in the 1970's with public schools desegregation and the busing that accompanied it. Those who advocate for "school choice" are merely repeating a slogan used by segregationists from the past. It seems that the soldiers for equity and true advocates for children are now left to fight this monster alone. We are fighting to educate all the children of the neighborhood, including the children of maids, mechanics, gardeners, and the homeless. With both city daily newspapers supporting charter takeovers, we do not have many friendly outlets to allow our voices to be heard above the clamor of special interests that would like to monopolize our schools for profit, jobs, and/or political gain. The rhetoric ingrained through continuous recitation of "failing schools" and "No Child Left Behind" has clearly worked. Schools are judged strictly by the results of one standardized test and not by what goes on in the schools themselves. New state requirements that Florida school districts test hundreds of thousands of students this fall to develop a baseline for academic improvement is a huge, costly, time consuming exercise, Seminole school district officials complain. Under the state’s new differentiated accountability system, the state wants school districts to show that schools are doing better by year’s ended. Targeted are schools that did not meet performance standards of No Child Left Behind, the federal education reform law. Of course, because - as is widely accepted now - Florida shot itself in the left foot when it originally set up its tough performance standards for NCLB several years ago, few schools actually can meet the standards. That means a district such as Seminole, which is one of the top academic performers in the state, has two-thirds of its schools on a list of underperforming schools. They are divided into groups, based on deficiencies, with titles such as "Prevent I" and "Correct I." That makes school district officials wince, and you are unlikely to see a banner hanging outside Lake Mary Elementary proclaiming "We Are a Prevent I School." Local officials had probably logically presumed they could use last year's FCAT test as the baseline for student perfomance. But they say the state Department of Education told them no dice, and set an impossible mid-September deadline for completion of the testing, too. Seminole and probably other districts as well got an extension through October. But they say it will be a huge waste of teacher and student time and effort to take tests in several subjects. The tests have to be repeated at mid-year and year end as well. Seeking Solidarity Among K-12 and University Educators: "Occupy and Escalate"
During last week's massive 10-campus walkout, several dozen students and workers occupied (video) the Graduate Student Commons at the University of California at Santa Cruz (UCSC), issuing statements frankly acknowledging their intention to escalate the conflict: "Occupation is a tactic for escalating struggles," they note at their website, "We must face the fact that the time for pointless negotiations is over." We work and we borrow in order to work and to borrow. And the jobs we work toward are the jobs we already have. Close to three-quarters of students work while in school, many full-time; for most, the level of employment we obtain while students is the same that awaits after graduation. Meanwhile, what we acquire isn't education; it's debt. We work to make money we have already spent, and our future labor has already been sold on the worst market around. ... Even leisure is a form of job training. The idiot crew of the frat houses drink themselves into a stupor with all the dedication of lawyers working late at the office. Kids who smoked weed and cut class in high school now pop Adderall and get to work. We power the diploma factory on the treadmills in the gym. Noting that public employees, the homeless and the unemployed have been demonstrating across the state, supporters argue that "all of our futures are linked" and the struggle over higher education is "one among many, [so] our movement will have to join with these others, breeching the walls of the university compounds and spilling into the streets." I completed an interview with their spokesperson this morning, on the fourth day of the occupation. Q. Sounds pretty raucous in there. How long have you been at it? We've occupied this space for almost four days now! This is one of the longest student occupations in many, many years. Q. How many of you are there, and who do you represent? There are several dozen or so occupiers, plus countless numbers of supporters on the outside. It's been very impressive. For example, one first-year student, after being on campus for just one week, almost immediately organized food drives with students in the dormitories for us. We honestly do not seek to represent anyone or any particular groups. Rather, we're emphasizing our message: We want students, faculty, and staff at UC to occupy and escalate to stop the destruction of public education in California, and we call on the people of California who are similarly and unfairly affected by our state's fiscal crisis to escalate in their own communities. The time for piecemeal negotiations with those who have fiscal authority over us to protect our own particular programs, jobs, or bottom lines is over because our demands are only turned against those who face similar cuts, thus making foes of people who should be building a broad coalition to stop and reverse the damaging cuts. Q. What inspired you to occupy UCSC, as opposed to other tactics, such as demonstrating, etc? 9/24 was the first day of classes at UCSC. As you probably know, there was a system-wide Walkout across all of the UC campuses on 9/24. We did demonstrate that day; we walked the picket line with the UPTE and CUE unions; we responded to the UC faculty call for a Walkout; some of us walked in uninvited on the large undergraduate lectures of those professors who failed to honor the picket line to make an emergency announcement about the Walkout. Let us provide some additional context: The Santa Cruz campus of UC was already hit hard last year by steep budget cuts. The Community Studies program was gutted; minority student programs were cut back; faculty searches for departments desperate for replacements, such as the History of Consciousness, were cancelled; health-care costs for graduate students were forced up; family student housing rents were jacked up -- just to name a few of the attempts to balance the budget on the backs of those least able to afford it and the most vulnerable in the system. Undergraduates, graduate students, and some unions organized to stop those initial rounds of damaging cuts through petitions, demonstrations, and other tactics, to no avail. A dire situation only worsened over the summer, which prompted the faculty to get more involved at the system level. So many of us at Santa Cruz already realized by the end of last year that the nature and severity of these budget cuts required an escalation beyond tactics of resistance that were attempted yet failed last year. As our press release (https://occupyca.wordpress.com) says, "occupation is a way of escalating struggles." This is what we decided to do to jumpstart a year of endless confrontation with the administration over their destructive logic that subordinates everything and everyone to the budget. This is only the beginning. Q. What are your demands specifically? Our primary message is directed at those who should be our allies within the UC, the public education system generally, and indeed throughout the state of California, as opposed to those who have power over us. We would like to see a broad social movement against cuts to education and all other state social programs and services. Thus we appeal to these groups to organize, occupy, and escalate at their schools and colleges and universities, as well as in their local communities. To sum up, demonstrations address specific issues; our actions aim at a much broader struggle. Workers are losing their jobs. Students are unable to enroll in school. We have no choice but to occupy and escalate. We call on the people of California to do the same. Q. This is a movement that you hope will spread to other campuses, isn't it? Any developments we should watch for? Not only the other UC campuses, but actually throughout the entire state of California and even beyond. We've already been on the radio shows of several UC campuses to talk to those UC communities about the need to organize and escalate and occupy, so, yes, you should watch for developments there! The one-day Walkout and our occupation are only first-steps, the genesis of a year-long or multi-year effort to take back the UC, to rewrite its priorities in the interest of public education and not privatization. The same thing needs to happen to protect K-12 education in California; did you know that one school district closed all 28 of its school libraries due to budget cuts? Whose vision of a quality K-12 education would not include access to libraries? Our purpose is not to blame local school administrators but to show how the cuts affecting the UC are also impacting everyone else in the public sector of the state. The process which has led to this point is simply unacceptable. Q. I take it you've followed the recent occupations at NYU and the New School, and perhaps earlier ones at Urbana-Champaign. Any lessons you've taken from those experiences? We've received statements of solidarity from student groups across the country, including several schools along the east coast, which can be read at https://occupyca.wordpress.com. We want to express our thanks for the support across the nation. Why stop at the borders of California? Let's take this effort to escalate to the nation as well! Public universities are being run like corporations all across the U.S. This must be brought to an end. Q. Are you in touch with supporters outside? Absolutely. The occupation on the inside is only one aspect of the escalation. This requires a lot of outside support, including many students who've been sleeping outside the doors to the occupation zone, volunteers to pick up trash and keep the space clean, students going around campus to spread the word about the occupation, and more. Then there are those who are working on logistics and press coverage. This is a big question! Unfortunately, it may not be enough simply to focus on amending the state of California constitution, which makes it notoriously difficult to construct a reasonable budget, or simply to focus on the next round of state elections in order to put into power friendlier decision makers. These things might certainly help or be steps along the way. On the one hand, our occupation is informed by a deep critique of the political economy of the system that underscores the unacceptable way in which things are accorded value by nothing more than the bottom line, by nothing more than the potential to make profit (and this is what is driving the budget cuts and restructuring at the UC); on the other hand, we don't suppose to have the answer in detail to this question, though we are convinced that attempts to negotiate to protect our own singular interests or programs or jobs -- which is tantamount to arguing for their value against, and not in conjunction with or in a complementary relationship to other programs -- are only making matters even worse for everyone. Deleveraging in order to rectify problems in one's balance sheet -- whether at the state, university, or local level -- does not cleanly map onto a process of social devaluation, and yet this congruence is a demand of the standard operating procedures of how our institutions are currently being run, including our universities. Protests are a manifestation of that gap between the two processes of balancing a budget and people feeling their own devaluation by the system. Anyone who slavishly submits to a social logic that reduces social things to a line item in the budget might find it hard to comprehend how protests are part and parcel to the system, not roadblocks to its smoother operation. Protests on the level of the UC Walkout and now our occupation signify that this imperative to rectify accounts is determined by a grossly unfair set of priorities that must be rejected. We're tired of hearing UC President Mark Yudof talk about making the UC more "efficient," more "competitive," about "human capital," not because we are against some notion of what it means to be efficient, to not be wasteful, but because his speech demonstrates he needs a more complex analytic of the dynamics overtaking the UC system in this crisis. A broad-based social movement that has the capacity to articulate an alternative collective vision to the narrow, corporatist special-interests that control our budgets and strategic planning will be necessary. Nobody is sure what this will look like yet. For now, we believe one of the first steps to building such a movement is to show that escalation and occupation is necessary and possible. We hope that groups of students, faculty, and everyday Californians can begin to see themselves, too, as people who can organize, occupy, and escalate to fight back. Follow their websites, OccupyCa, We Want Everything and (microblog) occupyucsc and coverage in the UCSC newspaper. In 1970 when Pennsylvania's Human Relations Commission (PHRC) filed suit to end segregation in Philadelphia's schools, 70 percent of the schools were segregated by race. Now 40 years later, two-thirds of the schools remain segregated by race. But corporate progessives like Bill Gates and Eli Broad who are managing education policy in the U. S. have taken note, and they plan to do something about it. They have declared, in fact, through mercenaries like Al Sharpton and Newt Gingrich, that education is the new civil right of the 21st Century. In so doing, the corporatists have convienently forgotten that Brown vs. Board of Education established that civil rights precedent back in 1954, when it declared 9-0 that separate schools are inherently unequal. Forgotten, indeed, for the settlement of the Philadelphia case in July 2009 and the ensuing celebration by corporate progressives leaves intact the same apartheid schools that the suit was intended to bring down 40 years ago. Nothing has changed, except that everyone now is expected to accept apartheid schools, rather than challenge them. What has changed, of course, is the civil rights remedy, and the remedy is no longer aimed at ending segregation but, rather, ending collective bargaining and seniority for the teachers in these segregated Philadelphia schools and in other urban centers. In so doing, goes the logic of lawyers like former TFAer, Saba Bireba, of the Center for American Progress, the new civil right of the 21st Century will be advanced, once pay-per-test score plans, strip mall charter schools, parrot learning scripts, decertified teachers, and longer school days become the civil rights agenda for Philly's poor urban children. What in fact is happening, of course, is the continuing diversion of attention by corporatists from the problems of poverty, racism, and classism on which their economic system thrives. The School District of Philadelphia received an unwelcome surprise at the beginning of this school year—nearly 200 teachers failed to show up for work just days before school opening. At the time, some commentators suggested the spate of teacher no-shows were linked to the district’s recently stated intent to change its teacher recruitment, retention, and evaluation systems in the city’s neediest schools. The new policies, which the district plans to fully implement by next year, include eliminating seniority from hiring decisions, revising the teacher evaluation system, and offering financial incentives to teachers in low-performing schools. These reforms may be unpopular with some teachers and principals—though eventually all of Philly’s educators did show up for work—but they are the types of policies that are needed to ensure every student has access to an effective teacher. Philadelphia’s new policies are remarkable for another reason—the district is required to implement the changes as part of a consent agreement that ends a 39-year old desegregation lawsuit. That suit, filed by the Pennsylvania Human Rights Commission, alleged that Philadelphia schools were unlawfully segregated by race and denied minority students educational opportunities equal to white students. The parties agreed to end the lawsuit in July. The agreement’s emphasis on changing teacher policies at racially-isolated, low-performing schools signifies a new approach to remedying the problems that desegregation lawsuits first attempted to solve. The Philadelphia lawsuit—like many desegregation lawsuits—originally sought to increase racial diversity in the district’s schools through busing and other desegregation plans. But as racial demographics and legal strategies changed over the years, the focus of the lawsuit shifted to the best methods to increase the academic achievement of minority students. Ensuring students in poverty have access to effective teachers requires the restructuring of a district’s human capital systems, from recruitment strategies to tenure policies. Such changes often represent a radical—and sometimes unpopular—departure from the customary system of hiring and placement present in many districts. Indeed, the Philadelphia Federation of Teachers has already expressed concern that the district’s acquiescence to the agreement was an attempt to evade collective bargaining requirements. The agreement still brings together the right mix of policy changes needed to recruit effective teachers at low-performing schools, evaluate and improve instruction, and keep good teachers at challenging schools. Some of the key provisions of the consent agreement are discussed below. These provisions are all critical components of a robust human capital system for attracting, developing and retaining successful teachers. Under the agreement, the district will base teacher instructional evaluations on teaching standards and design professional development activities that are based on teacher evaluations. Teacher evaluations often fail to have any meaningful effect on instruction because they are frequently based on arbitrary indicators, do not distinguish between levels of performance, and do not adequately address areas of needed improvement, such as the nondescript “satisfactory-unsatisfactory” evaluation forms. As suggested in a recent CAP report, teacher evaluations can have an impact on teacher quality when teachers understand what is expected of them and professional development concentrates on how to improve instruction. Furthermore, meaningful evaluations can help principals in selecting and retaining staff that have the most impact in raising student achievement. In districts such as those in Philadelphia, where teacher placement is often determined by seniority, principals have little control in selecting their own staff. It is unfair to hold principals accountable for the performance of their schools if they cannot choose their staff. The agreement would allow low-performing schools to bypass the district’s seniority system and give hiring power to the school. School reform advocates have suggested that the hiring decisions be made by a committee of the principal, staff, and community members. Still, the principle is clear: Schools should have the ability to hire candidates who will be the right fit for their particular school community and who are committed to their vision of instruction. It’s no secret that low-performing schools have a difficult time attracting effective teachers. The consent agreement attacks this problem in two ways. It allows for the “strategic compensation” of staff in low-performing schools. And it uses the actual budgeted costs of teachers to determine resource gaps between high and low-performing schools. By offering financial incentives to teachers in low-performing schools, the district acknowledges that those teachers face additional challenges in raising student achievement. Financial incentives can also be a powerful tool in convincing talented applicants to work in a more challenging school environment. Under the agreement, it is also likely that low-performing schools will receive additional financial resources to make up for the gap in spending on teachers’ salaries between high and low-poverty schools. These additional funds will be directed at schools with less experienced teachers and may be instrumental in providing retention incentives for new teachers. One effective use of the additional funds would be the implementation of formal induction and mentoring programs for beginner teachers. The agreement also requires the District to provide common planning time for teachers. This will give new teachers time to seek out mentoring and collaboration with other staff members. Implementation of the agreement at Philadelphia’s 85 lowest-performing schools will require substantial funding. Fortunately, the agreement also requires the district to institute a form of weighted student funding in a pilot area in the 2010-2011 school year and district-wide within five years. Weighted student funding accounts for the particular needs of students at low-performing schools and provides additional funding based on those needs. Increased funding can provide resources to help low-performing schools recruit and retain effective teachers. School reform advocates and districts litigating desegregation cases alike have struggled for years to reach agreement on the most meaningful ways to provide minority students with equal educational opportunities. If fully implemented and funded, Philadelphia’s consent agreement will provide a model for districts seeking a similar resolution. Most importantly, it will go far in providing students in the city’s lowest-performing schools with effective teachers—a necessary step in increasing student achievement. Saba Bireda is an Education Policy Analyst at the Center for American Progress. To read more about the Center’s education policy proposals please go to the Education page on our website. The e-mail was originally obtained by the Gloucester Daily Times and published in its Sept. 19 edition. . . . In 1957 when the Soviets launched their Sputnik I ahead of American efforts to orbit a satellite, educational traditionalists and anti-progressives like Prof. Arthur Bestor and Admiral Hyman Rickover ramped up their ongoing campaign of fear-mongering propaganda that was further exploited by a "ruthless media frenzy" aimed at demonizing American public schools as responsible for the U. S. losing the initial heat of the space race. I was almost 8 years old at the time, and I remember the Five O'Clock Hop (remember the bop, anyone?) being interrupted on TV with a news flash, urging citizens to go outside and see the tangible symbol of the Red Menace go beeping and blinking overhead. Americans were terrified, and education changed overnight, with math, science, and engineering majors replacing the humanities and the arts for millions of American students. Since Sputnik, the cons and the neo-cons have repeatedly used the same tactic to drive school reform further and further backwards. Reagan exploited fear of the Japanese economic engine, now sputtering, and Bush used fear of Chinese and Indian educational and technological gains. Meanwhile, the real advantages that Americans have always had, which include an understanding of living free and creative lives capable of solving problems and introducing innovation, is put at risk by antiquarian reforms that push us further and further behind the curve in solving real world problems that cannot wait for some future generation to deal with, once the dunces and Duncans in charge have been shown to be prostituted fools they are. For the climate problem, it is up to this generation. Period. We have the power to stop the catastrophic budget cuts, fee hikes, and layoffs -- but to save public education in California requires coordinating our actions on a statewide level. We invite all UC, CSU, CC, and K-12 students, workers, teachers, and their organizations across the state to participate in and collectively build the October 24 Mobilizing Conference to Save Public Education. The all-day conference will take place at UC Berkeley (contact us for more logistics). The purpose of this conference is both simple and extremely urgent: to democratically decide on a statewide action plan capable of winning this struggle, which will define the future of public education in this state, particularly for the working class and communities of color. Why UC Berkeley? On September 24, over 5,000 people massively protested and effectively paralyzed the UCB campus, as part of the UC-wide walkout. A mass General Assembly of over 400 individuals and dozens of organizations met that night and collectively decided to issue this call. We ask all organizations and individuals in the state who want to save public education to endorse this open conference and help us collectively build it. No budget cuts, fee hikes, or layoffs! For statewide student, worker, and faculty solidarity! Please contact oct24conference@gmail.com to endorse this conference and to receive more details. Only God and the health of loved ones rank higher with Beth and Doug Fitch than an elite education for their two boys. The $20,000-a-year cost is exorbitant, Beth said, even though the Fitches are both personal injury attorneys and own an Ahwatukee Foothills home valued at a half-million dollars, Maricopa County property records show. But the Fitches haven't had to worry about the bill. Arizona has paid the price. The state's Private School Tuition Tax Credits program covers the cost of private education, often for children whose parents could afford to pay it themselves - while allowing affluent families to reduce the amount of income tax they pay into the state's general fund. To date, Arizona's main bank account has lost $350 million to private schools. The price tag is growing as the state grapples with the most serious financial crisis in its history, and people who depend on the general fund - public school children, the disabled, the poor and the sick - face severe cuts in services. Under the program, taxpayers give money to nonprofit charities called school tuition organizations, or STOs for short. STOs give scholarships to children for private school tuition, and the state provides donors a dollar-for-dollar tax credit in exchange for their contribution. The tax credit law, signed by Gov. Fife Symington in 1997, is touted as a tool to make private education more accessible to families who could not otherwise afford it. Instead, it has fostered a rigged system that keeps private education a privilege for the already privileged. The Tribune reviewed thousands of pages of state and federal tax records and analyzed private school enrollment data from the past 12 years. Reporters interviewed dozens of parents, school administrators, school tuition organization executives, tax experts and government officials. The newspaper's reporting provides the most complete account to date of whether tax credits have torn down the economic barriers that block underprivileged children from private classrooms, as lawmakers promised. * An untold number of STOs, schools and parents are using the tax credits in ways that violate federal tax laws governing charitable donations. * Nearly two-thirds of all STOs failed to spend 90 percent of their donations on scholarships - as required by state law - since 2003, the year the STOs began filing annual reports with the state Department of Revenue. * Executives at two of the largest STOs have used tax credit donations to enrich themselves, buying luxury cars, real estate and funding their own outside for-profit businesses. * A majority of tax credit donations are earmarked to give scholarships to students already enrolled in private schools, no matter how much money their parents earn. Just seven of the state's 55 STOs use financial need as the primary factor in deciding who gets tuition money. * Even as they took in millions of dollars in scholarships, the state's private schools hiked tuition dramatically, pushing the cost of private education further from the grasp of middle- and low-income families. * Tax credits have failed to increase minority students' access to Arizona's private schools. Students at the schools receiving the most scholarship money remained overwhelmingly white at a time when the state's Hispanic population boomed. Lawmakers promised tax credits would make private education available to all Arizona families. "Even the poorest child now becomes royalty in the system," Trent Franks, author of the private school tax credit law and now a U.S. congressman, wrote in a 1999 column in the Tribune. "In the past, only wealthy parents could afford their children such an opportunity." His rhetoric never became reality. Private schools grew slightly during the tax credit era, though there is little evidence the subsidies took significant numbers of students out of public schools and off the taxpayer rolls. Statewide, roughly 6,900 more students are educated in private classrooms than in 1996, compared with more than 280,000 additional students who entered public schools. By design, Arizona's tuition tax credit program is unregulated. No state agency has the authority to prevent or penalize even the most brazen misconduct. For instance, the state law specifically bars parents from donating to an STO and claiming a tax credit to pay their own child's tuition. Yet schools and parents violate this prohibition with impunity, the Tribune has learned through numerous interviews with those who use tax credits. Some schools give parents step-by-step instructions on how to game the system by lining up other donors for their child. One private kindergarten even pairs up parents to exchange tax credit donations - an illegal quid-pro-quo transaction under federal tax law. The tax credits inherently benefit affluent families. . . .
Let's go back to May 12, 2008. Jay Mathews' headline reads, "Pair Break Barriers for Charter Schools." The protagonists in this tale of charter school heroism are none other than Dennis and Eileen Bakke, leaders of the second biggest charter chain in the nation (trailing only Edison Learning). Their CMO? They won a legal battle to force Maryland to increase public funding for charter schools more than 60 percent. They opened two charter schools in Prince George's County and befriended the superintendent there even though the county had a reputation as hostile to the charter movement. They run one of the largest charter school networks in the country. Yet Dennis and Eileen Bakke remain relatively unknown in local education circles. Dennis, 62, and Eileen, 55, live in Arlington County. He knows business; she is into education. Few people guess, and the Bakkes never volunteer, what an impact they have had on education in the region and beyond. Their Imagine Schools organization, based in Arlington, oversees 51 schools (four in the Washington area) with 25,000 students. By fall, it plans to have 75 schools with 38,000 students. Jason Botel, who directs KIPP charter schools in Baltimore, is one educator who knows what the Bakkes have accomplished. "Their funding of advocacy efforts has helped make sure that . . . charter schools like ours can provide a great education for children in Maryland," he said. Charter schools, which use public money but operate with varying degrees of independence from school systems, have had a tougher time in the Washington suburbs than in the District, where they proliferate. There are no charter schools in Northern Virginia and a handful in Maryland suburbs. Anne Arundel County officials declined to give more space to one of the area's most promising charter schools last year, forcing it to close, and Prince George's school officials have sought to keep their few charters on a tight leash. But the Bakkes' first meeting with Prince George's Superintendent John E. Deasy in late February went well. Deasy even scrapped a county policy that had barred the Bakkes from hiring a top candidate for principal of one of their schools because he did not have three years of administrative experience. "We had a really good chat," Deasy said. Prince George's has also distributed fliers listing charter schools and traditional schools as options for parents, something few other school systems have done. School systems often see charter schools as unfair competition. The Bakkes have an unconventional approach to management, patterned after methods Dennis Bakke used to build AES, an energy venture, into a company with $8.6 billion in annual revenue and 40,000 employees. He was co-founder and longtime chief executive of the energy company, retiring in 2002 with a fortune he has put to use as an education entrepreneur. His principal motto in business and education is: "Have fun." Having fun, the couple say, means giving everyone working in their schools the power to make decisions, or as Dennis Bakke put it, "to give the most chances for people to actually be able to make a difference." Nationally, 51 percent of the Imagine Schools' students come from low-income families. Thirty-nine percent are black, 33 percent white and 22 percent Hispanic. The two Prince George's schools are Imagine Foundations in Upper Marlboro and Imagine Lincoln in Marlow Heights; two in the District are Imagine Hope-Tolson Campus and Imagine Hope-Lamond Campus. One more is scheduled to open in the District and another in Baltimore County in the fall. Most Imagine Schools are launched serving kindergarten through third or fourth grade, but they are designed to expand to eighth grade. Dennis Bakke, president and chief executive of Imagine Schools, reviews data from all the schools every year and grades their performance. 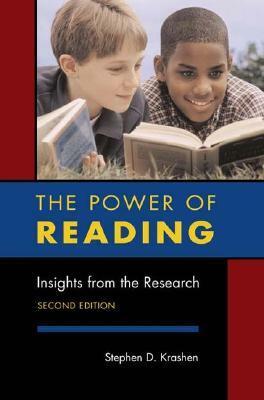 Schools in which more than half of students demonstrate more than a year's growth in reading and math get A's for academic achievement. In the 2006-07 school year, Bakke said, three-fourths of Imagine Schools received an A. He said he was particularly happy with Tolson in the District. Data provided by the D.C. Charter School Board, Bakke said, indicated that Tolson had the highest two-year gains in reading of any of the city's charter schools. Eileen Bakke, vice president of education for Imagine Schools, taught at the National Cathedral School early in her career and was a founder and board chairman of the private Rivendell School in Arlington for several years while she and her husband were raising their three children. In 2004, the Bakkes bought the Chancellor Beacon Academies network, renamed it Imagine and set out to expand, particularly in the Washington area. They said the District appeals to them, with its 78 charter school campuses and pro-charter laws. But they also are interested in Maryland and Virginia, even though charter advocates consider them unfriendly states. Other large charter networks include National Heritage Academies, based in Grand Rapids, Mich., with 55 schools and 35,000 students; Mosaica, based in Atlanta and New York, with 76 schools and 14,000 students; and KIPP, also known as the Knowledge Is Power Program, based in San Francisco, with 57 schools and 14,000 students. Virginia has three charter schools, in Charlottesville, Yorktown and Hampton, with 239 students in all, according to the D.C.-based Center for Education Reform. "School districts authorize charter schools in Virginia, and there is no appeal process for a denied application," Eileen Bakke said. "So a school district basically has to invite you to operate." Still, she added, Imagine is exploring locations in the state. According to the center, Maryland has 22 charter schools in Baltimore, serving 4,819 students, but the state's suburban school systems have not encouraged the movement. Local school boards cannot bar charters, as they can in Virginia, but they can make life difficult. There are four charter schools with 771 students in Prince George's and one charter school each in Frederick, Anne Arundel and St. Mary's counties, with a total of 608 students. The Bakkes say parents are attracted to their schools in part because of the emphasis on character. "We talk to the kids from Day One," Eileen Bakke said. "What does it mean to be responsible? What does it mean to have integrity?" On July 30, the Maryland Court of Appeals issued a ruling that granted more generous funding to all state charter schools. The Bakkes provided $500,000 to support the litigation. In Prince George's, the ruling meant that per-pupil payments to charter schools went from about $5,300 a year to $8,800, Dennis Bakke said. The Bakkes have plans for two new buildings to house their Prince George's schools, now in temporary quarters, and plan to open two more charter schools in the county in 2009. "Things are getting much better," Dennis Bakke said. Yeah, Dennis, things are getting much better - for you and the other leeches operating your for-profit enterprise. Readers: be sure to note how all the other charters - including KIPP - are thankful for this dynamic duo's heroic acts. Mathews was all too happy to be cheerleader for these corporate fools. A recent announcement in a Florida paper is a glowing piece of corporate charter school PR spin. Imagine Schools - the for-profit corporation backed by various real estate investors - is described as "a public, tuition-free charter school." It's certainly tuition-free - but it's hardly a public school. Better yet, the announcement describes the school as a place where "leaders aim to create a culture that asks parents, teachers and students to work together to make decisions." At the end of the day, however, the most important factor is Imagine Schools and it's real estate leeches that ensure financial gains; education is a distant second in this greedy quest. It shouldn't come as a surprise that Imagine Schools has spread in Jeb Bush's Florida. Published: Sunday, September 27, 2009 at 1:00 a.m.
Last Modified: Friday, September 25, 2009 at 6:02 p.m.
For its second school year, Imagine School at Lakewood Ranch opened its doors to more than 400 students in voluntary prekindergarten through seventh grade. At the school, leaders aim to create a culture that asks parents, teachers and students to work together to make decisions. Enrollment has increased from 57 students at the beginning of the 2008-2009 school year to 430 this year. Imagine School at Lakewood Ranch, a public, tuition-free charter school, is part of the larger Imagine Schools, which operates 73 schools nationwide and 17 in Florida. The schools were to blame for letting the Russians get into space first. Granddaddy of all slanders and a great illustration of the absolute nuttiness with which people talk about education. Schools alone can close the achievement gap. This is codified in the disaster known as No Child Left Behind. Most of the differences come from family and community variables and many out-of-school factors, especially summer loss. Some studies have found that poor children enter school behind their middle class peers, learn as much during the year and then lose it over the summer. They fall farther and farther behind and schools are blamed. Middle class and affluent kids do not show summer loss. Money doesn't matter. Tell this to wealthy districts. Money clearly affects changes in achievement although levels of achievement are more influenced by the variables just mentioned. Most studies are short term and look only at test scores, a very foolish mistake. Economists David Card and Alan Krueger also found investments in school show a payoff in terms of long-term earnings of graduates. The United States is losing its competitive edge. China and India ARE Rising. As economies collapsed all around it, China's economy grew a remarkable 7% last year. On just humanitarian grounds, we should not wish China and India to remain poor forever, but the more they grow the more money they have to buy stuff from us. As China and India prosper, we prosper. The World Economic Forum and the Institute for Management Development have consistently ranked the U. S. economy as the most competitive in the world. 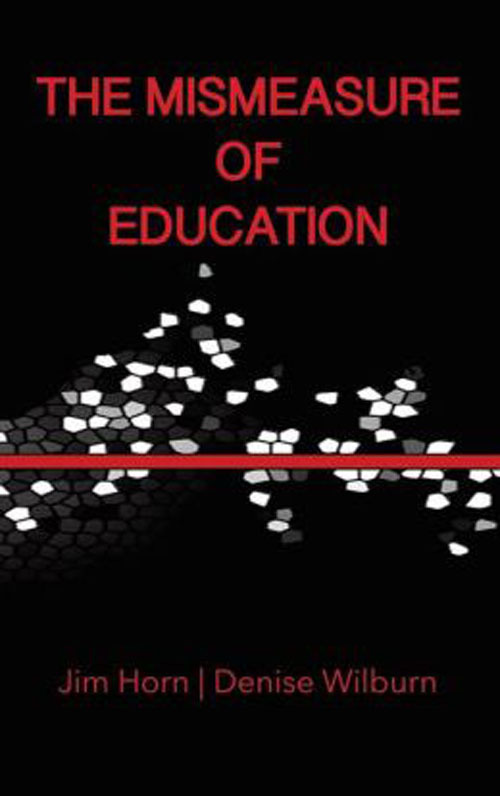 Education is only one part of multi-factor systems in rankings. WEF is especially keen on innovation. Our obsession with testing makes testing a great instrument for destroying creativity. The U. S. has a shortage of scientists, mathematicians and engineers. This was a myth started oddly enough by the National Science Foundation in the 1980s in a study with assumptions so absurd the study was never published, but the myth lingers on. In fact, Hal Salzman of the Urban Institute and Lindsay Lowell of Georgetown University found that we have three newly minted scientists and engineers who are permanent residents or native citizens for every newly minted job. Within 2 years, 65% of them were no longer in scientific or engineering fields. That proportion might have fallen during the current debacle when people are more likely to hang on to a job even if they hate it. An article in the September 18 Wall Street Journal reported that before the economy collapsed, 30% of the graduates of MIT--MIT--headed directly into finance. Merit pay for teachers will improve performance. Bebchuk & Fried Pay Without Performance. Adams, Heywood & Rothstein, Teachers, Performance Pay, and Accountability. Bonus pay is concentrated in finance, insurance, and real estate. In most of private sector hard to determine and often leads to corruption and gaming the system. Campbell's Law: "The more any quantitative social indicator is used for social decision making, the more subject it will be to corruption pressures and the more apt it will be to distort the social processes it is intended to monitor." The fastest growing jobs are all high-tech and require postsecondary education. "Postsecondary education" is a weasel word. A majority of the fastest growing jobs do, in fact, require some kind of postsecondary training. But, according to the Bureau of Labor Statistics, they account for very few jobs. It's the Walmarts and Macdonald's of America that generate the jobs. According to the BLS, the job of retail sales accounts for more jobs than the top ten fastest growing jobs combined. Test scores are related to economic competitiveness. We do well on international comparisons of reading, pretty good on one international comparison of math and science, and not so good on another math/science comparison. But these comparisons are based on the countries' average scores and average scores don't mean much. The Organization for Economic Cooperating and Development, the producer of the math science comparison in which we do worst has pointed out that in science the U. S. has 25% of all the highest scoring students in the entire world, at least the world as defined by the 60 countries that participate in the tests. Finland might have the highest scores, but that only gives them 2,000 warm bodies compared to the U. S. figure of 67,000. It's the high scorers who are most likely to become leaders and innovators. Only four nations have a higher proportion of researchers per 1000 fulltime employees, Sweden, Finland, New Zealand and Japan. Only Finland is much above the U. S.
Education itself produces jobs. President Obama and Secretary of Education Duncan have both linked any economic recovery to school improvement. This is nonsense. There are parts of India where thousands of educated people compete for a single relatively low-level white-collar job. Some of you might recall that in the 1970's many sociologists and commentators worried that America was becoming TOO educated, that they would be bored by the work available. 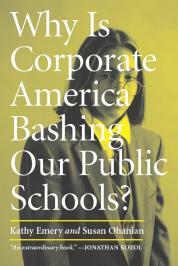 CEOs, Charter Schools, and Scandal - Oh My! Lavish salaries, restraining orders, and plenty of controversy - no, this isn't from Desperate Housewives, this story comes straight from a charter school chain operating in Colorado. You might recognize the Cesar Chavez School Network for their previous scandals - serious testing concerns, the lock-out of their online school, and 6-figure salaries. The school's CEO was demoted while the CFO resigned - but will their replacements inherit the absurd paychecks? After months of altercations, the Cesar Chavez School Network board decided Friday night to demote its chief executive and accepted the resignation of its chief financial officer. At a raucous public meeting, the board decided that CEO Lawrence Hernandez would no longer have administrative power over all the network's schools, said Alex Medler, board chairman of the state-run Charter School Institute. Instead, Hernandez will interact only with the Pueblo campuses, and his specific role concerning those schools has yet to be defined. "Right now we have to see what this means for the (Cesar Chavez) Network in terms of its services," Medler said. At the end of the five-hour meeting, the board accepted the resignation of chief financial officer Jason Guerrero, Medler said. There was also discussion of redesigning the role of chief operating officer Annette Hernandez, Lawrence Hernandez's wife. Medler said that he is not sure how he feels about the board's decision, since Lawrence Hernandez's new role has not been solidified. The meeting convened about 3 p.m., just hours after Pueblo Chief District Judge Dennis Maes issued temporary restraining orders against Hernandez and his wife. Both are barred from having contact with the board president or the principal of Dolores Huerta Preparatory High School, according to The Pueblo Chieftain. Maes' decision came after he heard testimony from board president Dennis Feuerstein and Dolores Huerta principal Richard Mestas, who both alleged that the Hernandezes and members of their family had threatened and intimidated them over the past few days. Board attorney Dolores Atencio told The Chieftain newspaper that a special exception was made to permit Lawrence Hernandez to attend the Friday meeting. Neither Atencio nor Hernandez could be reached for comment. The Colorado Charter School Institute decided Wednesday to look into the possibility of permanently closing Cesar Chavez Academy North in Colorado Springs and the online GOAL Academy in Denver. Together, the programs educate about 900 students. Both schools, along with others, are part of the Chavez network. Trouble regarding the network has been brewing for months. In May, at the same time the network was trying to shutter one of its schools due to financial problems, it was first disclosed that Hernandez was earning $261,732 a year, making him the highest paid public-school superintendent in the state. His wife made $134,826, and Guerrero, the CFO, earned $247,797. Citing the financial problems, along with allegations of recruitment improprieties and testing abuse, Pueblo's school superintendent asked for an audit, which was then ordered by the state. Since then, the struggle between the institute and the network has exploded, culminating this week with a shutdown of the online school for three days. Additionally, after network officials were warned Wednesday by the Colorado Education Commission not to destroy records, the officials said some employees had unwittingly already done so. The day before, Hernandez allegedly told staff members they should sign loyalty oaths to the network and give their computer user names and passwords by the end of the day or risk being fired. It looks increasingly unlikely that NCLB will be reauthorized in 2010. Most insiders are saying 2011, which means there will be no relief from AYP. Meanwhile, the press is on via Race to the Top (RTTT) -- and no doubt there will be other measures forthcoming - to pressure states to sign on to the just-released, still draft new 'national' standards and then to whatever tests are produced. Those tests almost certainly will be tougher to pass than those now in place in all but a few states. (I assume based on lots of comments about them that they will be pretty equivalent to NAEP's proficient levels, which were set by an egregiously flawed process orchestrated by right-wing activist Checker Finn, then head of the National Assessment Governing Board). If those come into play before reauthorization, the speed toward 100% failure will accelerate, and the number of states that will be headed there instead of a mere 70% or so failure will greatly increase. Regular SchoolsMatter visitors will recognize Imagine Schools and their brand of financial wizardry - which ends in fat pockets for the Virginia-based EMO and angry parents. "We’re not speculators. We’re investors.” So says the CEO of a real estate trust that recently sunk some $170 million into 22 charter schools. Which got me wondering: why charter schools? How do they end up looking like sound investments? It turns out the buyer, Entertainment Properties Trust (EPR), buys real estate nationwide, with its total portfolio worth about $2.6 billion. Over half of that is in megaplex movie theaters. EPR’s stated goal is to be "the nation's leading destination entertainment, entertainment-related, recreation and specialty real estate company." According to EPR's website: "We understand that education is among the most vital experiences of life. Movie theatres and charter schools are very different in many ways, but they are alike in this respect: People choose to patronize them. Our experience in financing specialized real estate enables us to capitalize on properties that people choose to visit." The rest of the story available here. More and more states/boards are catching onto the power grabs orchestrated by Imagine Schools, one of the largest for-profit CMOs. The board of a charter school planned for McKinney has been in turmoil over questions about the school's financial arrangement with a controversial school management company. Four of the school's original five trustees quit in August, saying in their resignation letter that they were concerned about the school's proposed contract with Virginia-based Imagine Schools Inc. They wanted Imagine to give the board more control and lower what they said were excessive fees that Imagine planned to charge the school. The school, Imagine International Academy of North Texas, is expected to open next school year. In raising the questions, "I felt like I was just doing my job," said former trustee Julia Shahid, an education professor at Austin College. "We were led to believe that we and the parents would have a lot of voice in how the school was run. In the end, we saw that Imagine really wanted to make the calls." Cobby Caputo, an Austin attorney representing Imagine, said the company's contract with the school was lawful and fair. "My take and legal opinion is that the current contract complies with state law," he said. "Imagine has a contract formed they are happy with and board members were unhappy [with]." Imagine Schools was awarded two school charters in November by the state Board of Education. The agency did so even though state law allows only nonprofit organizations to open state-funded charter schools. The Texas Education Agency gave the North Texas school and a second proposed Imagine-managed school near Austin a list of concerns they had to satisfy before the schools could open. Shahid and former board president Don Newsom said they merely passed along to Imagine the questions posed by the TEA, which called parts of the proposed Imagine contract "unacceptable" and requested that Imagine change provisions it said undermined local control of the school board. TEA attorneys are currently reviewing the company's responses to those concerns and its contract with the school. The school's new board members approved the contract this month. "It's part of your responsibly to raise questions and to ensure the best education program will be provided to those students," said Newsom, a former superintendent of Celina ISD. "If you aren't doing that, if you don't raise those questions, then you are not doing your job and not being fair to those parents." Newsom said he also opposed Imagine's demand to be in charge of hiring teachers and the school's principal. He said he asked Imagine to lower the management fee it planned to charge the school to run its daily operations. "It was apparent in how they worded [the contract] that Imagine wanted as much control of the local school as allowed," said Newsom, whose former board position has been filled by a Fort Wayne, Ind., businessman. "They want the board to be an advisory board." Imagine has emerged as one of the largest for-profit charter school management companies, operating several dozen schools in 12 states. But along the way there have been persistent questions from board members and state education agencies about how Imagine operates. Similar concerns from parents and trustees at Imagine's proposed school in Georgetown, north of Austin, led the company and the parents to cut ties in recent months. Imagine wanted the ability to run the school forever without the board's ability to cancel the contract, said Juanita Stephens, a former board member. "Basically, Imagine was wanting total control," she said. "We really did have lots and lots of questions and concerns."